A Kenyan drug addict whose story went viral after childhood friend saved him from his mental illness in 2017 has passed on. 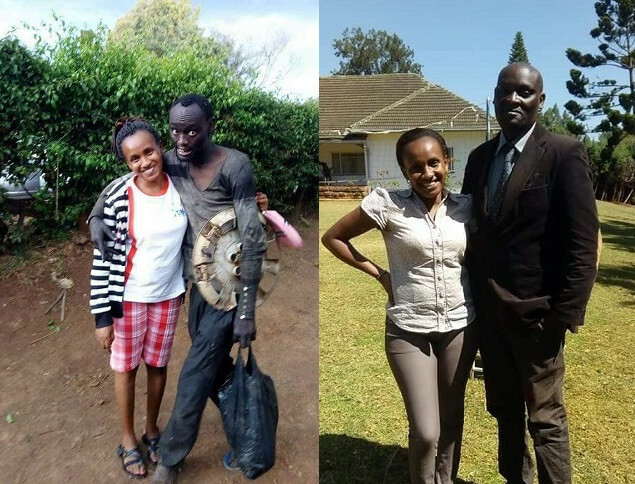 The former Kanyan drug addict identified as Patrick Hinga Wanjiru, almost ran mad because of drug abuse was rescued by former classmate and childhood friend, Wanja Mwaura, who fed and helped get him admitted at Chiromo lane Medical Center, where he got rehabilitated. Mrs Wanja,took to her Facebook page to share the sad news, she said that on Thursday,Patrick had gone to visit a friend before informing his mother that he was experiencing stomach-ache, but as at then,it wasn't serious. She also noted that he spent the night with his friends but on Saturday night when the problem persisted, he went to a hospital where he passed on.